Budapest is in general a dog friendly city, with many green parks, dog friendly hotels in Budapest, and dog friendly restaurants. Even some of the top Budapest attractions are dog friendly! That said, the city if also child friendly, so dogs are not allowed in playgrounds, not even on a lead. There are clear ‘Dogs not allowed’ signs where you cannot go with a dog, and there are also many dog pooh bins. Now let’s see the best hotels in Budapest that allow dogs and pets in general out of the approx. 100 hotels in Budapest where pets are accepted. 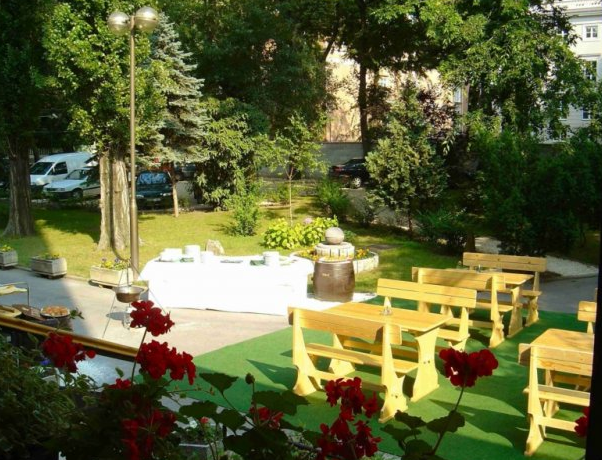 First of all, we start the list with the hotels in Budapest that not only accept pets, but are in a good location for a walk in the park, yet conveniently located, close to the city center and other amenities. 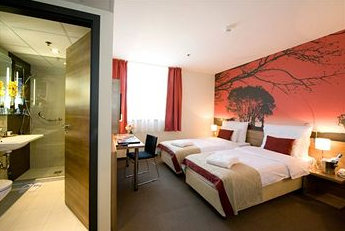 Hotel Benczur Budapest is one of the few city central hotels that allow dogs, and is in general pet friendly. Hotel Benczur Budapest is affordable, and in fact we can even say that it is cheap: compare the hotel rooms prices for Hotel Benczur Budapest on this hotel price comparison site to see the best hotel deals for this truly dog friendly hotel in Budapest: Benczur Hotel Budapest (the list shows the prices of multiple hotel booking sites, like booking.com, hotels.com, expedia.com, ebookers.com, lastminute.com, laterooms.com, hotelscombined.com, etc. 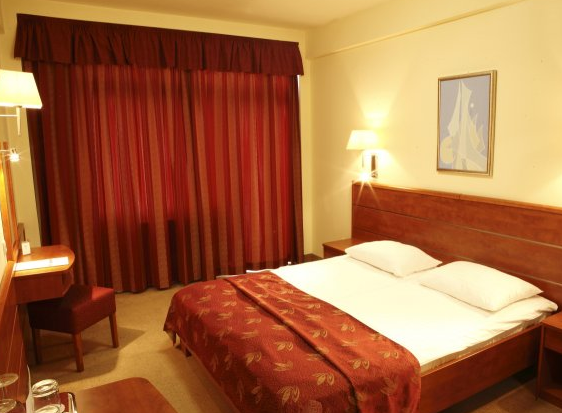 Mamaison Hotel Andrassy is one of the four star hotels in Budapest, highly reviewed and rated by solo and business travellers, as well as families and couples. 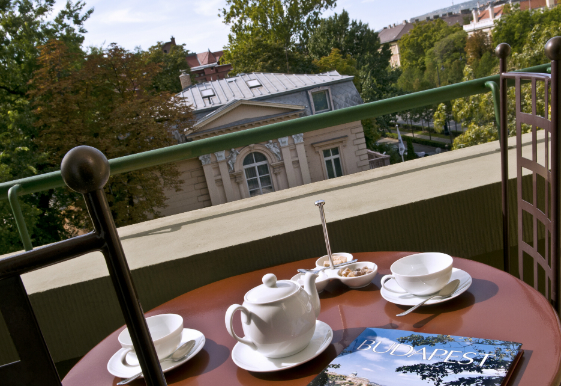 Mamaison Hotel Andrassy is one of the few city central hotels that allow dogs, and is in general pet friendly. How much is a dog in the hotel per day? You will be asked to pay approx. 30 Euros per dog per day (not a deposit, it is an actual daily surcharge). Please note that the dog is not allowed in the garden of the hotel. Despite being one of the top Budapest hotels, its hotel room prices are still affordable, and great value for money: compare the hotel rooms prices for Mamaison Hotel Andrassy on this hotel price comparison site to see the best hotel deals for this truly dog friendly hotel in Budapest: Mamaison Hotel Andrassy Budapest (the list shows the prices of multiple hotel booking sites, like booking.com, hotels.com, expedia.com, ebookers.com, lastminute.com, laterooms.com, hotelscombined.com, etc. Mamaison Residence Izabella is one of the four star apartment hotels in Budapest, highly reviewed and rated by solo and business travellers, as well as families and couples. The residence accommodation has about 38 fully equipped, non-smoking suites (45-97sqm), with full-sized kitchens, dining areas and living rooms, 1-3 bedrooms, a sauna and a fitness centre, complimentary WiFi, elevator, and a children’s corner, to mention but a few of the 4 star services and apartment amenities. Mamaison Residence Izabella is one of the few city central hotels that allow dogs, and is in general pet friendly. Having a dog with you comes as a surcharge on a daily basis. How much is a dog in the hotel per day? You will have to pay about 30 Euros per dog per day (not a deposit, it is an actual daily surcharge). Please note that the dog is not allowed in the garden of the apartment hotel. 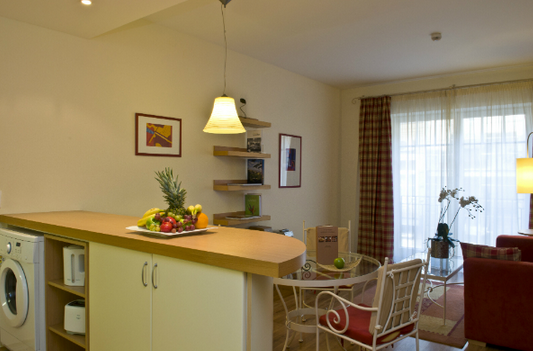 Mamaison Residence Izabella is one of the four star apartments accommodation in Budapest, highly reviewed and rated by solo and business travellers, as well as families and couples. Despite being one of the top Budapest residence accommodation, its apartment prices are still affordable, and great value for money: compare the hotel rooms prices for Mamaison Residence Izabella on this hotel price comparison site to see the best hotel deals for these truly dog friendly apartments in Budapest: Mamaison Residence Izabella Budapest (the list shows the prices of multiple hotel booking sites, like booking.com, hotels.com, expedia.com, ebookers.com, lastminute.com, laterooms.com, hotelscombined.com, etc. Adina Apartment Hotel is one of the top four star vacation rentals in Budapest, highly reviewed and rated by solo and business travellers, as well as families and couples. 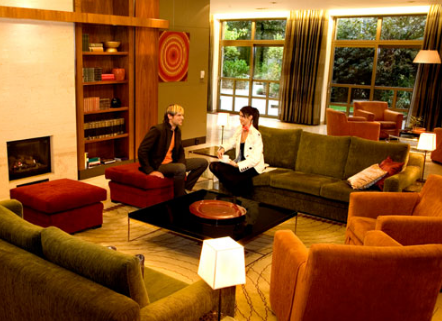 Adina Apartment Hotel is one of the few city central hotels that allow dogs, and is in general pet friendly. Adina Apartment Hotel is not too far from such Budapest attractions like the Nyugati Train Station (Eiffel Office design, 15 min walk), the Hungarian Parliament building (about 20 min walk), the Margaret Island (Margitsziget 20 min walk), Cafe Europa (Europa Kavehaz, 15 min walk), WestEnd Shopping Mall (10 min walk). Despite being one of the top Budapest residence accommodations, its apartment prices are affordable, and great value for money: compare the hotel rooms prices for Adina Apartment Hotel on this hotel price comparison site to see the best hotel deals for this truly dog friendly hotel in Budapest: Adina Apartment Hotel Budapest (the list shows the prices of multiple hotel booking sites, like booking.com, hotels.com, expedia.com, ebookers.com, lastminute.com, laterooms.com, hotelscombined.com, etc. 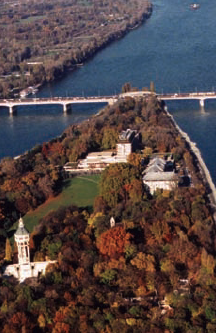 There are two Danubius hotels in the northern tip of the Margaret Island (Margitsziget), which is in fact a beautiful park and recreational area on an island in the river Danube, located between the city centre of the Pest side, and the Buda side. The two hotels on Margitsziget were built next to each other. One of the Danubius hotels is an actual thermal spa hotel, called the Danubius Health Spa Resort Margitsziget, with its own spas and pools supplied by natural spring waters, while the other Danubius hotel, named Danubius Grand Hotel Margitsziget, is a 2 min walk to the spa hotel, and the Grand Hotel guests can also use the spa facilities of the Spa Resort. The spa hotel (Danubius Health Spa Resort Margitsziget) is somewhat more modern, and better reviewed than the 200 year old and restored Danubius Grand Hotel Margitsziget. 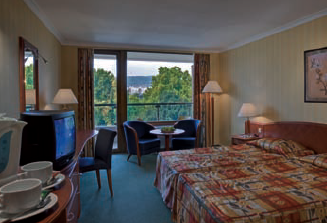 So if you want to pick the better quality, pick the four star Danubius Health Spa Resort Margitsziget over the Danubius Grand Hotel Margitsziget. There are regular bus services from the Margaret Island to Nyugati Train Station (which is also an M3 metro station). Bus 26 will take you to Nyugati Railway and Metro Station in about 20 min, and from here, the city centre of Budapest is another 5 min by metro (get off at Deak Square, the central square of the city of Budapest). Another way to get to the public transport is to take a 7 min walk to Arpad Bridge in the north of the island, then hop on the Tram 1 (Streetcar Number 1), and get off at the Arpad Bridge M3 blue line metro station, which is in downtown Budapest in about 15 minutes. Luckily both hotels on the Margaret Island are pet friendly and accept dogs, for a daily extra surcharge of about 20 Euros. 1 dog is allowed per 1 hotel room. Danubius Health Spa Resort Margitsziget (the list shows the prices of multiple hotel booking sites, like booking.com, hotels.com, expedia.com, ebookers.com, lastminute.com, laterooms.com, hotelscombined.com, etc. Danubius Grand Hotel Margitsziget (the list shows the prices of multiple hotel booking sites, like booking.com, hotels.com, expedia.com, ebookers.com, lastminute.com, laterooms.com, hotelscombined.com, etc. The Hungexpo of Budapest is the regular venue of dog shows of all sorts, needless to say, for Hungarian dog shows and fairs it is a featured venue. In 2013 the Dog World Show takes place in Budapest, Hungary. However, Hungexpo is quite far from the city centre of Budapest. Hungexpo is on the edge of the city, in a less appealing neighbourhood, where there is not much to see or to do. But if you only visit Budapest for the sole purpose of being at the Expo, you can find good Budapest accommodation close to the Hungexpo area, in District X (Kobanya, District 10). The Expo Congress Hotel Budapest allows dogs, even two dogs are accepted for a daily extra charge of about 10 Euros per dogs per day. Expo Congress Hotel(the list shows the prices of multiple hotel booking sites, like booking.com, hotels.com, expedia.com, ebookers.com, lastminute.com, laterooms.com, hotelscombined.com, etc.